If someone were to ask Tom Hanks to write an essay "How I spent my summer vacation" Hanks — or Hanx, as he dubs himself on Twitter — would probably take up the challenge with his everyman grin. The multi-talented actor likes to write (his short story about flying to the moon, Alan Bean Plus Four, ran in The New Yorker in October. You can listen to it, below!) And given that he spent this past summer filming in Egypt he has plenty to write about. 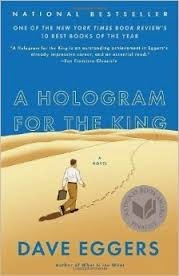 He was in the post-revolutionary country filming Dave Eggers A Hologram for the King, reuniting with Cloud Atlas director Tom Twyker who also penned the adaptation of Eggers novel. The film costarring Tom Skerritt (Top Gun, Ted), Sarita Choudhury (Homeland), Omar Elba (Intelligence), Tracey Fairaway (Enough Said) and David Menkin (Zero Dark Thirty) will be released sometime late next year. I'll be adding it to my list of movies based on books for 2015, which I hope to get up on the site before this year ends. 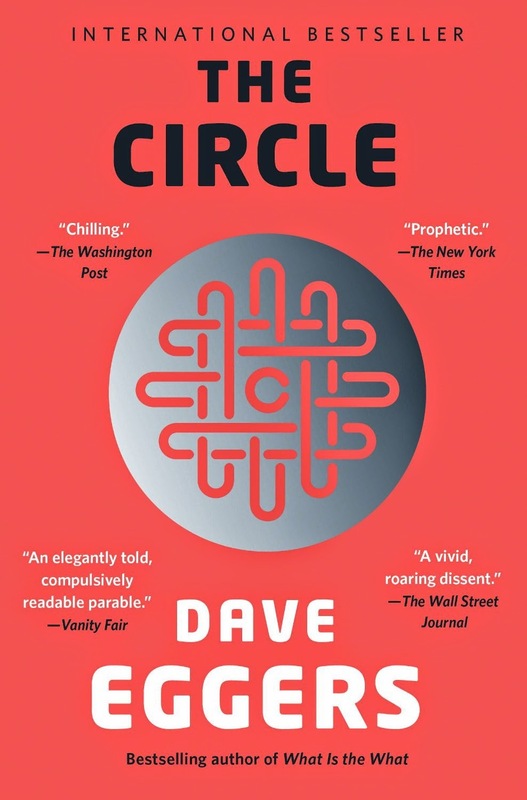 Tom Hanks is clearly a fan of Dave Eggers; he's already signed on to star and produce the screen adaptation of Egger's 2013 book, The Circle with James Ponsoldt (The Spectacular Now) directing. Are you excited to see these Dave Eggers novels on film? Is there a book — or two — that you'd really love to see Hollywood adapt? Check out my page Books We Wish Were Movies and let me know what novel you'd add to the list. TOM HANKS reads his short story Alan Bean Plus Four from the New Yorker. Why read Alan Bean Plus Four when Hanx and the New Yorker have so kindly shared the audio file? !